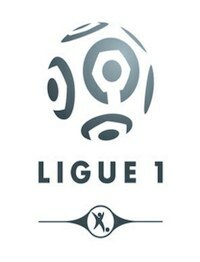 The 2017-2018 French Ligue 1 football season starts for Monaco on Saturday 4 August with a home-game against Toulouse. The Reds and Whites topped the league table last season, 8 points ahead of Paris Saint-Germain (PSG), but the Parisians have come out fighting, with a 2-1 victory over Monaco last weekend in the French Super Cup (Trophee des Champions). The two teams next meet in November at Stade Louis II, and the Monegasques make the journey to the French capital on Sunday 15 April next year. As for the local derby, Monaco visits Nice on 9 September, and the return match in the Principality is 26 November. We've listed Monaco's home games below (correct at time of writing, 1 Aug 2017), but as the season progresses there are often changes to dates and times, so check back nearer the time. If you'd like to cheer the team as they travel around France, you'll find a full list of the club's fixtures on the official website at: AS Monaco Football Club: fixtures and results.